Dr.Hersh was very pleasant, patient, thorough and professionally knowledgeable. I did not feel as if I was being rushedat all, which was wonderful. The office staff could not have been friendlier, more helpful, and more efficient. I will look forward to using Dr. Hersch as my orthopedist again! Dr.Hersh was very pleasant, patient, thorough and professionally knowledgeable. I did not feel as if I was being rushed at all, which was wonderful. The office staff could not havebeen friendlier, more helpful, and more efficient. I will look forward to using Dr. Hersch as my orthopedist again! 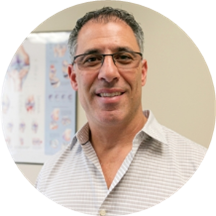 Dr. Jonathan Hersch is an orthopaedic surgeon and sports medicine specialist treating patients in the Boca Raton and greater Florida areas. He holds certification from both the American Board of Orthopaedic Surgery and the American Board of Independent Medical Examiners. He is also a member of professional organizations including the American Orthopaedic Society for Sports Medicine, the American Academy of Orthopaedic Surgeons, and the Arthroscopy Association of North America. In order to complete his medical degree, Dr. Hersch attended the New York University School of Medicine. He continued his medical education at the Long Island Jewish Medical Center in Hyde Park. Here, he completed an internship in general surgery and a residency program focused on the study of orthopaedic surgery. He has also completed a fellowship in sports medicine at the Cleveland Clinic in Ohio. Patients visiting Dr. Hersch can receive a full range of orthopaedic care. His areas of professional interest include shoulder, elbow, and knee surgery, sports medicine, arthroscopy, fracture care, and platelet-rich plasma injections. Fantastic...and Roxy rock...thank you so much. God bless you. knowledgeable, efficient, listened to my issues. The doctor and staff were professional and efficient. He was extremely efficient & knowledgeable. He knows his stuff. My PRP treatments go smoothly and he is reasonably priced compared to other orthos, especially important when these treatments are not covered by your plan. Great doctor, pleasant staff, professional practice! The staff was very friendly and professional, wait time very short. Very impressed with Dr. Hershey thorough and informative. I would recommend him to others. His staff was kind and welcoming. Dr. Hersch is clearly knowledgeable and also warm and welcoming. The assistants and doctor were courteous and professional. Effeicient and friendly staff. Dr. Hersch is clear and understandable, and is thorough in answering questions. I would highly recommend Dr, Hersch and his team. The experience was great and he explained my particular issue in a very digestible way for me to understand not only what was causing my pain, but also options on how tolower the pain and how it all came about. I was happy that I wasn't rushed to get scans right away - those can be costly and maybe not needed right away. His office staff was very polite and friendly and did everything to make me feel comfortable. The office very clean. The only complaint (if you could call it that) was the parking situation with the plaza construction but that is certainly not the doctor's fault. All in all - I'm happy I chose Dr. Hersch and will continue to seek his expert opinion with any other pains/needs I have when it comes to my sports injuries. Appointment was for my daughter. Dr Hersch was patient and thorough. I felt confident with his assessment of her complaint and his suggested follow up. Office was extremely friendly and helpful. Would definitely recommend. Explained my situation very clearly and thoroughly, gave me several options for potential treatments, and made specific recommendations. Couldn't ask for more. I had to wait but it was worth it. The office staff is nice and efficient. The doctor has an excellent bed side manner. I don't like doctors and they put me at ease. I highly recommend this office. Very courteous front desk and doctor. they all took time to answer my questions, did not rush me at all. I would recommend them to anyone. Despite being on the approved Molina Providers list, they do not take Molina. I found out the hard and expensive way. I waited for the appt. and missed work only to be told by the receptionist " We have told Molina,it's not on us". Ummm...How long has it been since they stopped taking Molina? Apparently, for some time. Zocdoc should have clarified or have an updated list of the insurance companies the Doctor accepts. The office and rooms were very clean and the staff was very friendly and helpful. I would highly recommend Dr Hersch and his staff. He has done 2 surgeries on my husband. Excellent sports doctor!! I was very satisfied and travelled out of the county to see him again! I have used Dr. Hersch for 5 years now and I wouldn't go anywhere else. He is very knowledgeable and compassionate to your needs and he explains things to you in a way that you can understand. Wait was minimal andhis office staff is very friendly and accomodating. Highly recommend! Dr. Hersch was referred to me by another orthopedic physician for a surgical consultation. When I arrived at this office, his staff was very professional and processed my paperwork quickly. I only waited a short time before seeing him and, aftertalking to me about my condition, he went over the results of my MRI and explained them in a thorough manner. He even called the referring physician to get information about the treatment I had received from him, which I thought was great. Highly recommend Dr hersch. Felt he was very experienced plus He takes the time to fully explain the problem and solutions. Great staff also. He is a great doctor very knowledgable very communicative. Highly recommend him. Outstanding job. Very professional and well equipped....x-ray, ultrasound. Tumbs up to Tara and David, nice staff. Incredible, straight to the point.. Very friendly staff. Efficient and professional. Doctor was competent and presented all options for treatment and follow-up. Staff disappointing. Receptionist continued on a personal call when I arrived and did not address me at the window. She was pleasant when she finally did check in tasks.The PA was somewhat incompetent. He asked to xray me prior to the physician seeing me and prior to his conducting any exam. An xray wasn't necessary. PA should not offer xray prior to any exam. Minor point- waiting area clean but I dont' want to have the PriceIsRight blasting and listening to other patients screaming (yes!) at the TV. Cell phone use in the waiting area should be prohibited. Physician great-- staff sub-par. visit was good and the doctor was very helpful. Staff is really nice and competent.